For the Abadan Refinery development project, foreign direct investment (FDI) has already been raised to the amount of 2 billion euros, declared Iranian Deputy Minister of Petroleum on the distribution and processing of petroleum products Alireza Sadeghabadi. He pointed to attracting foreign investment in the country's oil refining projects and added that negotiations with other foreign companies on the reconstruction and modernization of other refineries have not yet been completed. Sadeghabadi considers the country has achieved self-sufficiency in the implementation of plans for the gasoline processing and production. He estimated the current refining capacity of oil and gas condensate in the country at about 2.1 million barrels per day. 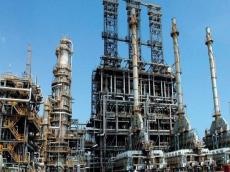 He stressed that attracting FDI from China worth 2 billion euros for the Abadan Refinery modernization is considered one of the largest foreign investments made in the era after the introduction of sanctions. Reconstruction of the Abadan Refinery began in February 2017 in connection with the Iranian nuclear deal implementation, called the Joint Integrated Action Plan (JCPOA), using foreign financing. He added that some units of this plant will be put into operation in the coming months. China Petroleum and Chemical Corporation (Sinopec) and the Iranian Oil Design and Construction Company (ODCC) will carry out the project development, the deputy minister said. China Petrochemical Corporation (Sinopec Group) is a super-large petroleum and petrochemical enterprise group, established by the state in July 1998 on the basis of former China Petrochemical Corporation. Sinopec Group has a registered capital of 274.9 billion yuan ($40 billion) with the board chairman of Sinopec Group serving as its legal representative. Sinopec Group exercises the investor's rights to the related state assets owned by its full subsidiaries, controlled companies and share-holding companies, including receiving returns on assets, making major decisions and appointing managers. The Group operates, manages and supervises state assets according to related laws, and houlders the corresponding responsibility of maintaining and increasing the value of state assets. Sinopec Group is the largest oil and petrochemical products suppliers and the second largest oil and gas producer in China, the largest refining company and the second largest chemical company in the world. Sinopec Group ranked the 3rd on Fortune's Global 500 List in 2017.